Upon the heels of the Jewish High Holy Days, we celebrate Sukkot, the festival when we are invited to build and spend time in a hut that reminds us of the impermanence of earthly existence and attachment to how we perceive the world. On Rosh HaShanah, the Jewish New Year, we eat sweet foods and offer sweet greetings to one another and we pray for a good year. During the month leading up to Rosh HaShanah, Judaism invites us to make a “You Turn” into the depths of our being, to take account of our lives, make amends, start afresh, find ways to do better and begin to forgive ourselves and others for what has gone awry. In the days between Rosh HaShanah and Yom Kippur, we step up the process and on Yom Kippur, we delve into the depths of our pain, hopes and aspirations. We are invited to dress simply, refrain from food and drink and other human pleasures, and to engage in group confession, taking responsibility for our individual and group karma, and endeavoring to create a capacity to rehearse for our death and touch upon our immorality. Then comes Sukkot just five days after Yom Kippur. Sukkot is a feast of thanksgiving when we are invited to give thanks for what we have and pray for the welfare of all people everywhere as we complete the cycle of our introspection that began the month before Rosh HaShanah. The last day of Sukkot is called Hoshanah Rabah, which means, “The Great Hosana” or “Great Asking for Salvation.” On Hoshanah Rabah, we continue to spend time in the sukkah, but we return to the solemnity of the High Holy Days as we make one last attempt to purge sin and guilt from our beings and ask God for salvation. 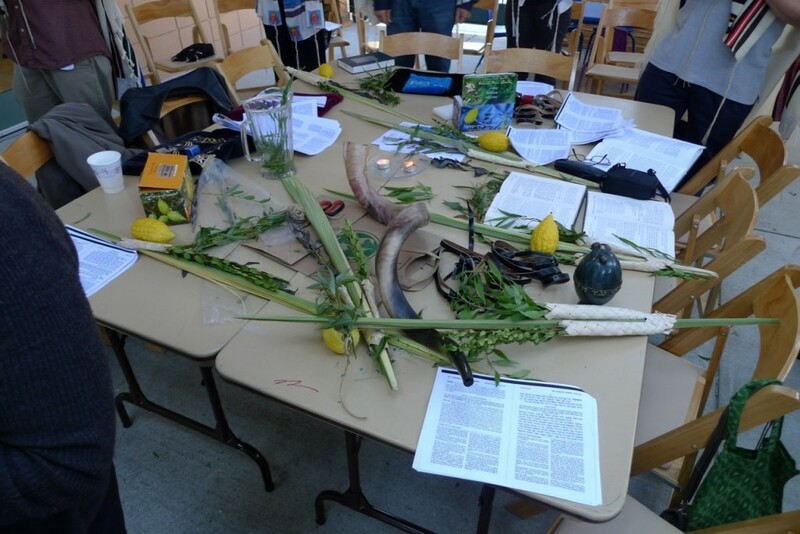 The photo above was taken by Gerald Derblich in the sukkah at Congregation Netivot Shalom in Berkeley, California at the end of services on the morning of Hoshana Rabah 2012/5772.